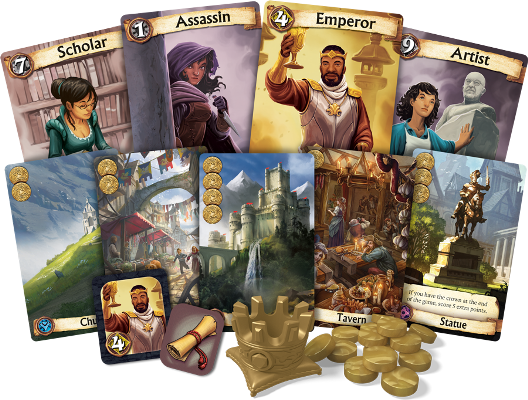 In Citadels, players use the local citizens to acquire gold and build districts to complete their medieval city. 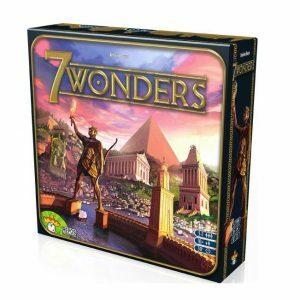 At the end of the game, the player with the most impressive city wins! At the start of each round, Players will take turns choosing a character that gives them an ability for that round. Players will then start the round taking turns based on the character they have chosen. 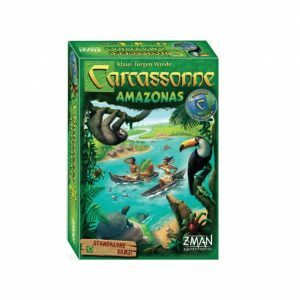 On a turn, a player earns gold or draws two building cards then discards one, utilises their character ability then optionally constructs one building by paying its cost. The game will end when a player constructs and eighth building. Players then add up their buildings value and any bonus points. The player with the most points wins. Knowing which character to choose and when to choose them is what Citadels is all about, as each of them turns the game on its head. 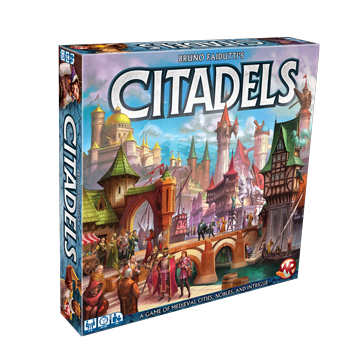 This deluxe version of Citadels comes with different characters which you can swap out from game to game, giving it great re-playable value.